Konami has made plenty of headlines over the past few years, but not always for the right reasons. Following the publisher's acrimonious split from Hideo Kojima - who was responsible for some of the company's biggest games - reports hit the Japanese media of Konami's shameful treatment of its staff. Now a fresh report by the Nikkei suggests that Konami is blacklisting former employees, making it hard for them to find work outside of the company. In the report, it is alleged that Konami director Kimihiko Higashio declined Kojima Productions' application to join ITS Kenpo, a health insurance society which services the gaming and internet sectors. Higashio serves as the chairman of ITS Kenpo, the Nikkei claims that the rejection was done in accordance with "Konami's wishes." The fact that Kojima's name has once again surfaced might lead you to assume that this vendetta is focused purely on the Metal Gear creator, but that isn't the case. The Nikkei reports that multiple sources have come forward with similar tales of woe regarding Konami. 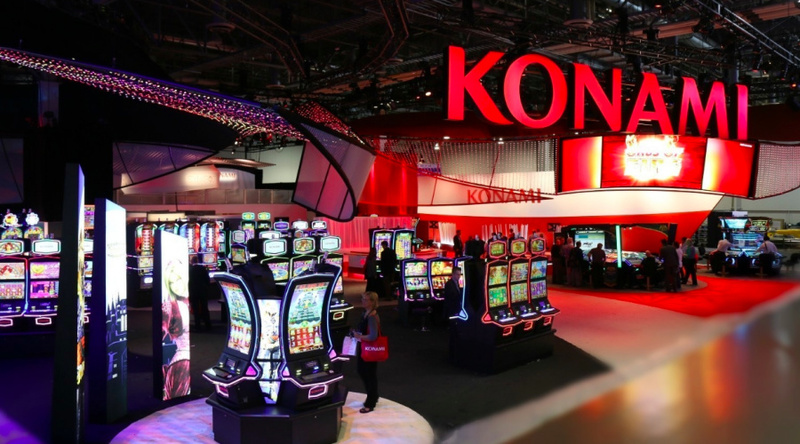 One employee from a staffing agency claimed that Konami goes as far as to file "complaints to gaming companies who take on its former employees," a practice which caused one such company to "warn its staff against hiring ex-Kon" - a nickname for former Konami staff. A former Konami employee said "If you leave the company, you cannot rely on Konami's name to land a job." Konami is also accused of threatening to take legal action against former staff members who give interviews to the media. Konami was asked to comment on the report by the Nikkei, but refused. It wouldn't surprise me if this is true. Konami are a bit of a thundering disgrace these days, like Crapcom. Though Konami are worse. So if you leave you can't get a job elsewhere? Well, that's... honestly not fair. @SakuraHaruka If they've got multiple sources coming out saying this stuff about Konami, that puts it a long way from being gossip. There are clearly major problems within the company - that needs addressing. Good god. I knew things there were terrible, but this is a whole new low. @Damo I agree with Damo. Usually gossip stems from one source and is biased. With multiple sources it solidifies the evidence that warrants further investigation. @Damo Would a surgical JDAM strike address it? That's got my vote. Although first make sure we get infiltrate to steal all master copies of classic franchise titles. Then they can go through the ventilation shafts. In all seriousness if this turns out to be true and Konami are actively stiffling former employees career opportunities this is beyond disgusting and I can only hope the higher ups endure jet force reverse pump failures next time they are on the toilet. Yeah, I used to work there, I can see this totally being a thing. Super petty people in management. This is shameful. Konami has a long history of abusing its employees and hampering their projects/lives. Look at how much time and effort went into the first Silent Hill and read about Konami's lack of support for the project staff as an example. No wonder the Bemani artists (part of Konami) left from Konami one by one, working on another companies such as SEGA, Capcom, etc. Even Naoki Maeda, the Maestro of DDR left from Konami. Konami has had a nasty reputation for years. One good thing that came from that is the creation of Treasure. Which can be credited with some of the greatest action games ever. Konami has some great IP's but can't keep their talent around because of their pettiness. Punishing ex employees further is downright nasty. May Konami disappear into a black hole never to be seen again. But, well, nobody know that really happeded with konami, kojima and all the involved, but, the truth, someday will be prove. Konami = the devil, you can come but you can't leave. There are plenty of scumbag companies in all industries that do this. The good news is that the more the public knows about it, the less likely the companies are to get away with it. There'll be multiple sources after reading this here. @SakuraHaruka Doing a poor job as the devil's advocate. Konami never ceases to amaze me. An S-class poopy company. That is just wrong if it's true. What was that wholesome hashtag about Konami again? "Konami was asked to comment on the report by the Nikkei, but refused." this seems like an admission of that story. Was Konami always like this? or do they just currently have a Nazi CEO? plot twist: Konami is really Shinra from FF7. That's just terrible and probably sour grapes on Konami's part. I hate losing great employees but you can't force them to stay if they don't want to and sometimes money alone doesn't solve the problem! But I would never give a bad recommendation if they were good employees! I look forward to hearing more about this in the next Jimquisition. And now here's a company that I actually dislike almost as much as EA. "Can't let you do that Kojima!" Other than Non-Disclosure Agreements and potentially prohibitting someone from working for a direct competitor (for a couple years or so), it sounds illegal for Konami to be able to prevent their former staff from being hired elsewhere (it's one thing if other employer's don't see the experience as counting for much. It's another thing entirely to take action and prevent or make it disfavorable to hire). If it isn't illegal, it sounds like it really should be. Kimihiko Higashio has to step down from either Konami or ITS Kenpo because what he's doing is a blatant conflict of interest. I'm afraid that the entire Japanese industry going in this direction. Konami couldn't blackmail anyone if other companies didn't follow their lead. This is shameful. For a country that always speaks about honor, Konami sure doesn't follow that lead here. I'm afraid every business in the world is going in this direction. Maybe there is a conspiracy theory against Konami and they are the victims? Who knows. Exactly, nobody know that happened; Konami can be guilty, but also, can be victim of a discredit campaing; only they (Konami and the people involved) know the truth, but, well, will be hard to find the truth; but, while, for notes as that, for me, only are "circus"
The entire gaming community should pool its resources together and purchase a majority share of its stock. We need to clean house! If true (and given their history, its believable) this is disgusting and they need to be brought back down to the real world. As someone else said , I also have many staff, but you cant hold on to them forever, if they are good let them go with blessings. Of course, this blacklist does not apply to every former employee, but it happens for sure with strategic employees. Also, it happens on North America, Europe...everywhere. The problem is that sometimes this former employee is not that bad guy than can create a company and compete with Konami and others, but it is blacklisted as a precaution act. And with this, Konami keeps digging its grave on the videogame segment. Shame that they still have Castlevania, it didn't deserve it end due to the LoS subseries.